Sycamore takes on Dixon during their volleyball game at Sycamore High School on Monday, September 26, 2016 in Sycamore. Sycamore won in straight sets, 25-21, 25-19. 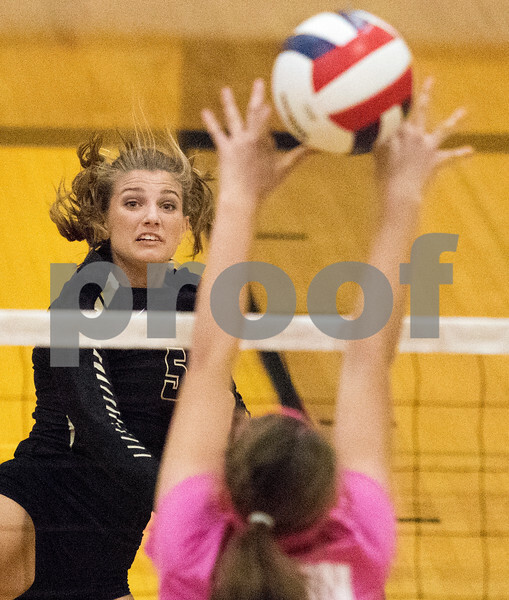 Sycamore's Maizy Larson watches as the ball sails through the hands of a Dixon player takes on Dixon during their volleyball game at Sycamore High School on Monday, September 26, 2016 in Sycamore. Sycamore won in straight sets, 25-21, 25-19.